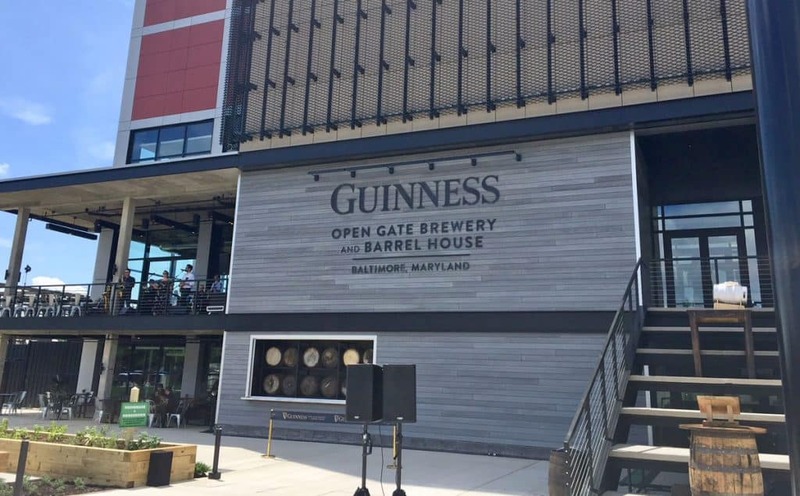 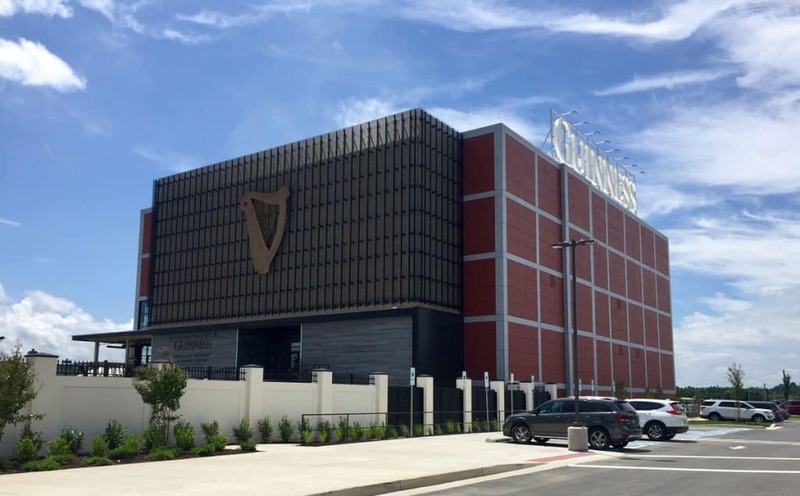 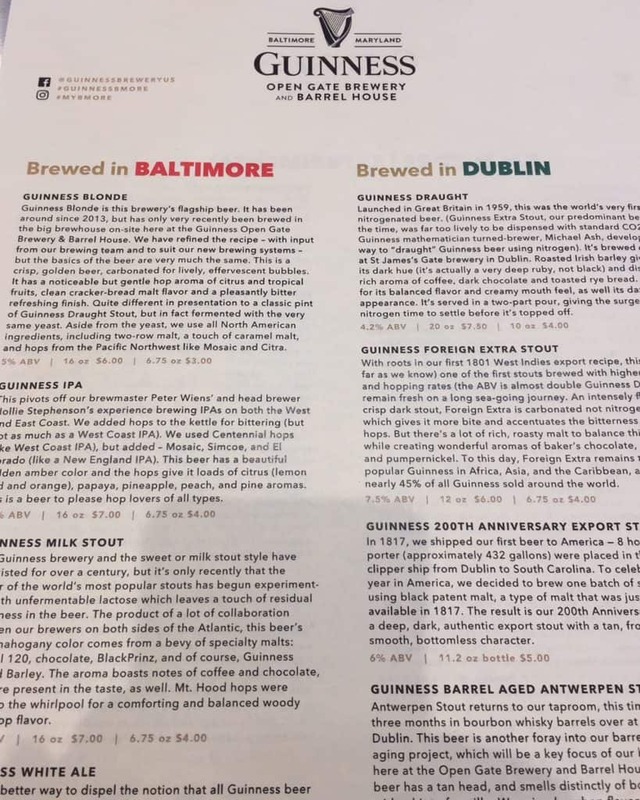 The Guinness Open Gate Brewery & Barrel House recently opened in its new home in Halethorpe, near BWI Airport. 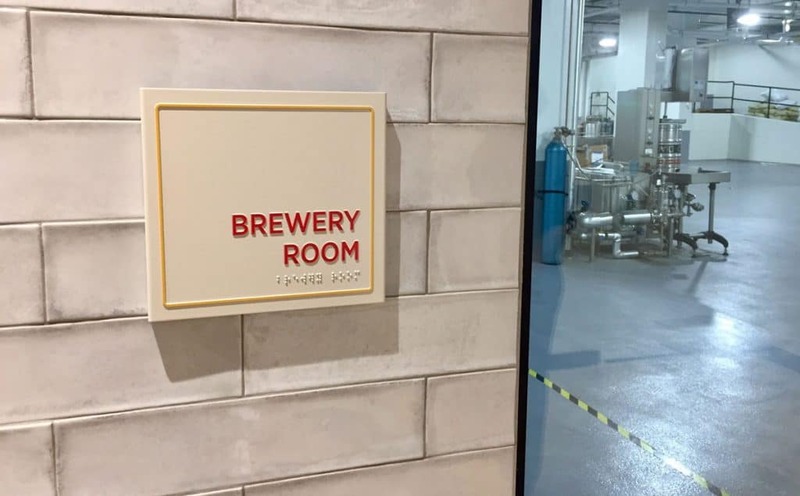 The expansive brewery, taproom and restaurant occupies a large brick building on the campus of the old Calvert whiskey distillery. 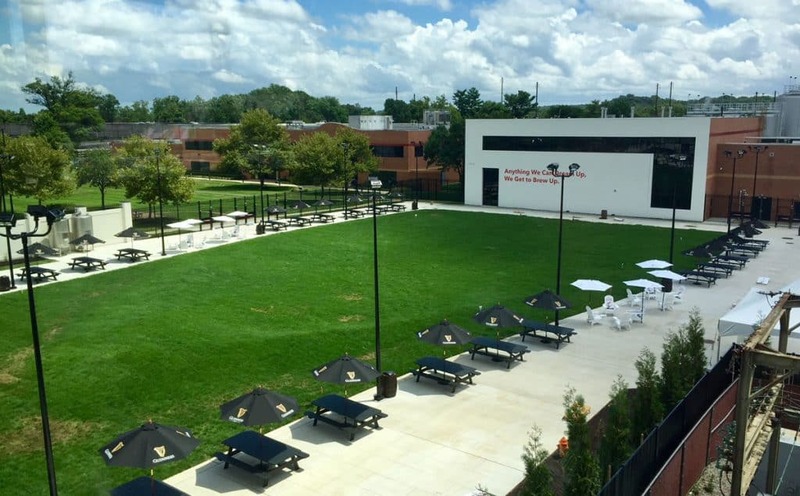 Outside, a wide green lawn sprawls out, complete with picnic tables and a performance space for musical acts and other programming. 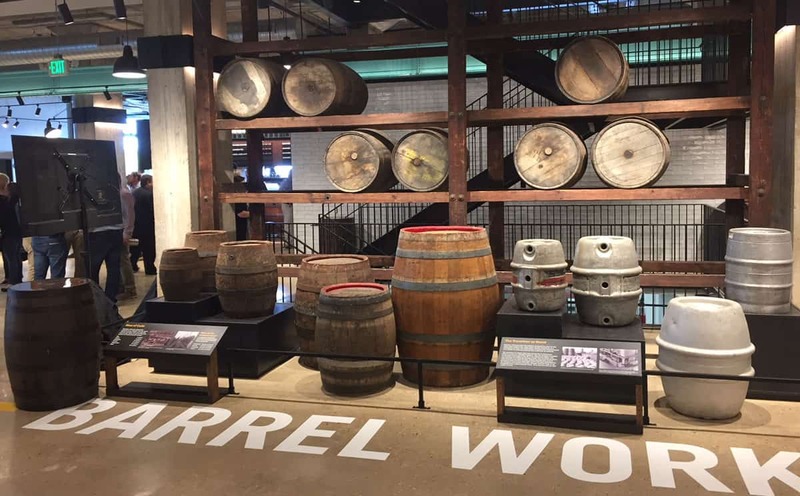 Up the steps, one enters an expansive lobby lined with distilling barrels. 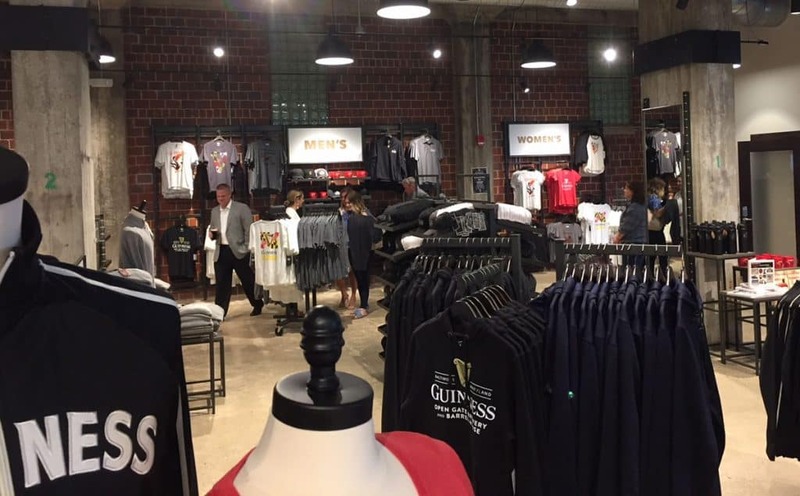 Off to the right is a fun retail area, where you can purchase any number of books, shirts, glasses, hats, signs and all manner of Guinness-branded merchandise. 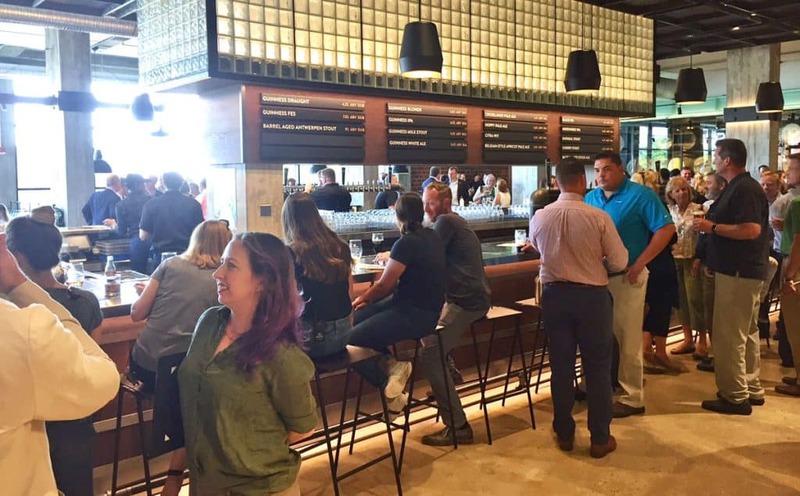 To the left is the massive taproom with a large rectangular bar, multiple taps, high-top tables and scattered lounge areas. 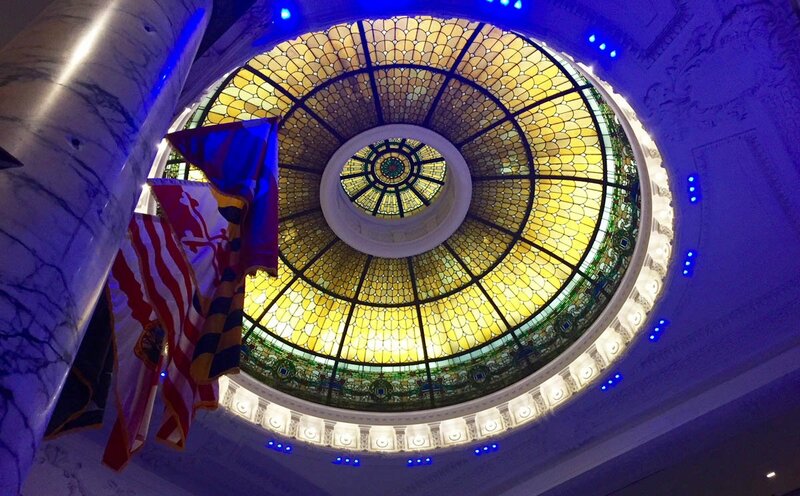 Large floor-to-ceiling windows open to an outdoor porch area. 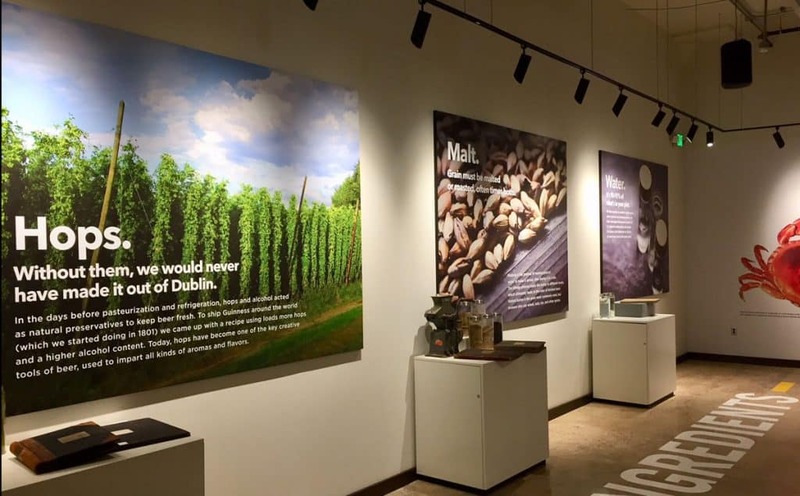 A central open staircase leads downstairs to the open-view brewery, as well as a number of large displays that feature the history of Guinness and demonstrations of the brewing process. Upstairs is the restaurant space, which will be open by mid-fall. 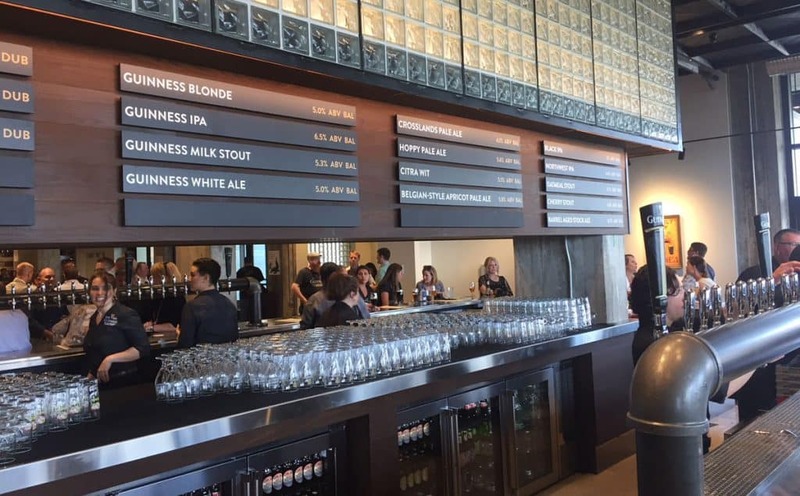 There’s also a handsome private party room, complete with its own set of taps. Classic Guinness is still brewed only at the home brewery back in Dublin, but the Baltimore operation brews a multitude of Guinness varieties. 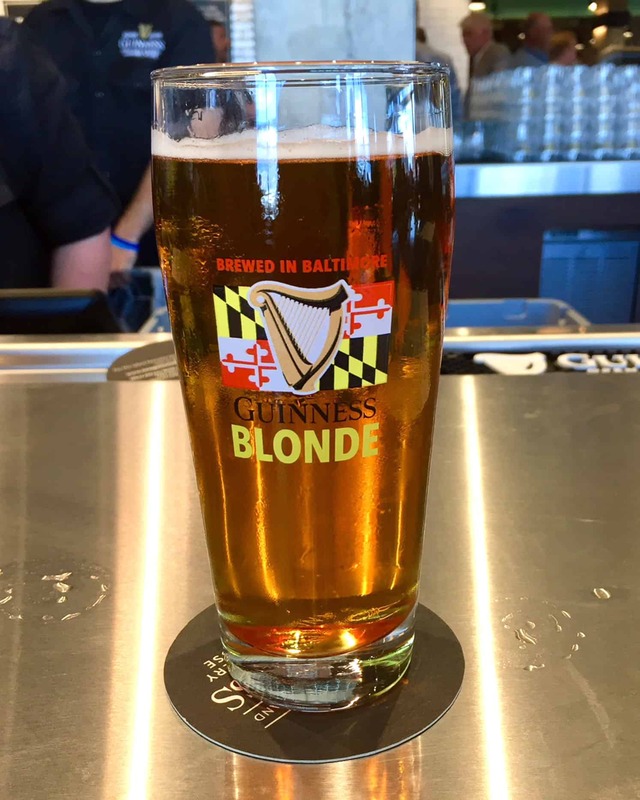 That includes Guinness Blonde, my personal favorite. 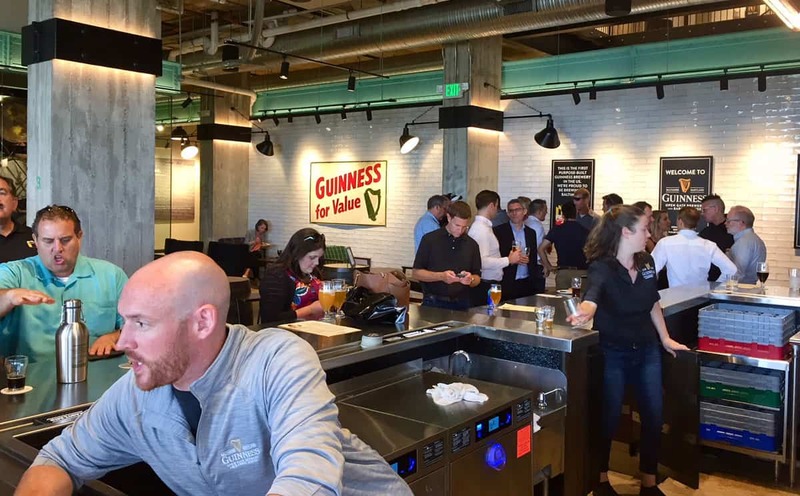 Interest is high in this new operation, as evidenced by the crowds it’s been drawing.